Best-selling author Stephen Covey once said, “Trust is the glue of life. It’s the most essential ingredient in effective communication. It’s the foundational principle that holds all relationships.” I couldn’t agree more! Trust is the foundation of any relationship. 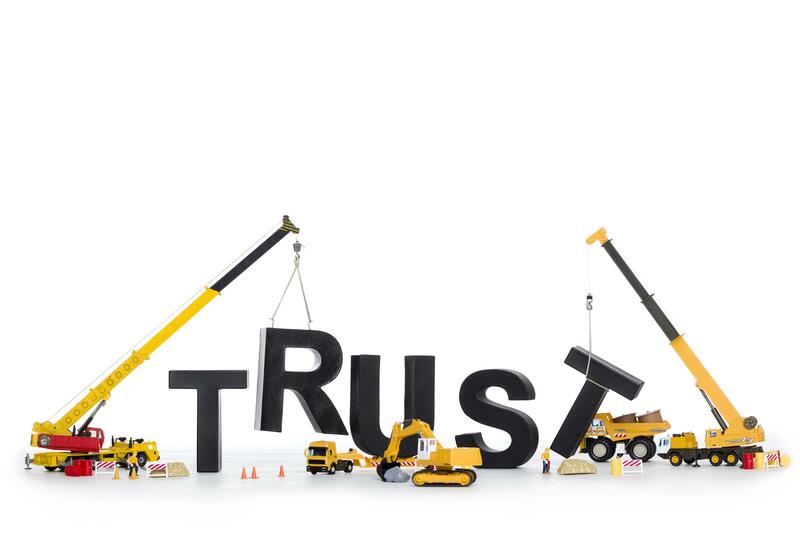 Without trust, there is no meaningful relationship. So what do you do when you were the one that made the mistake and broke her trust? How do you handle the constant reminders of what you did, and how much pain you caused? Is it ever OK to tell her to “get over it”, “It happened a while ago”, or “I’m not the same person”. If you are like me, you’ve done things to hurt those around you. Some more deeply than others, but hurting someone is hurting someone, regardless of how we want to quantify it. Learning to trust is one of life’s most difficult tasks. And depending on a persons’ background, trust could be more difficult to rebuild once it has been broken. Here are 4 Keys to Rebuild Trust in a relationship. Understand they are still hurting. George MacDonald said it best, “To be trusted is a greater compliment than being loved.” The reason why they continue to bring the issue up is because they are still in pain. Failure to acknowledge their feelings only causes them to feel as though you aren’t mindful of what they may be going through. Though you may want to move forward with getting things back to the way they were, you must allow your spouse to set the pace for how quickly things move. Rather than focusing on being loved by your spouse, focus on being trusted by your spouse. Rome wasn’t built in a day; neither will re-building your relationship. Scripture says in James 1:4 to “let patience have her perfect work, that you may be perfect and entire wanting nothing.” There is something about the work of patience that makes everything worthwhile. It doesn’t make it easy, but it does make it worth the process. Keep the vision alive everyday of what you want your relationship to look like, and be willing to put in the work necessary to live the dream. Join our national fatherhood movement by visiting www.m46project.com.